We may ask you to provide a copy of your most recent year-to-date paystub or a copy of your current year Social Security/SSI benefit letter. The same amount as the monthly rent. And the deposit is not a substitute for the last month rent when a tenant moves out. The initial lease is a minimum of 12 months then it goes month-to-month. The initial 1year lease stays in effect until the tenant provides the landlord with a signed, 30 days in advance of move out, a Vacate Notice. If tenant does not provide a Vacate Notice, he/she forfeit the security deposit. If tenant moves out prior to completing the first twelve (12) months, he/she forfeits the security deposit and are still responsible for monthly rent until landlord re-rents the property. Do you have any Short Term rentals? 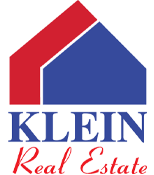 We have 2 furnished Executive Apartments above our office, Klein Realty 404 N. 7th St., that can be rented on a Month-to-Month basis when available. The security deposit is equal to one month rent and is not a substitute to the last month rent. A signed, 30 days in advance to move-out date, Vacate Notice is required. Call our office to confirm availability. Applications are required. The application fees are $25 per applicant and $15 for each additional occupant 18 years of age or older. Example: 1st and 2nd applicant, spouse or other, and one addition occupant, 18 years of age, would total a fee of $65.